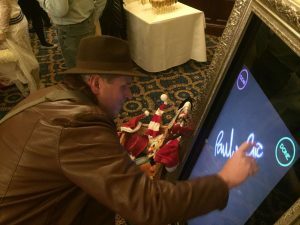 This beautiful vintage mirror is a must-have addition to any occasion, but this is no ordinary mirror… this mirror comes alive at your fingertips! 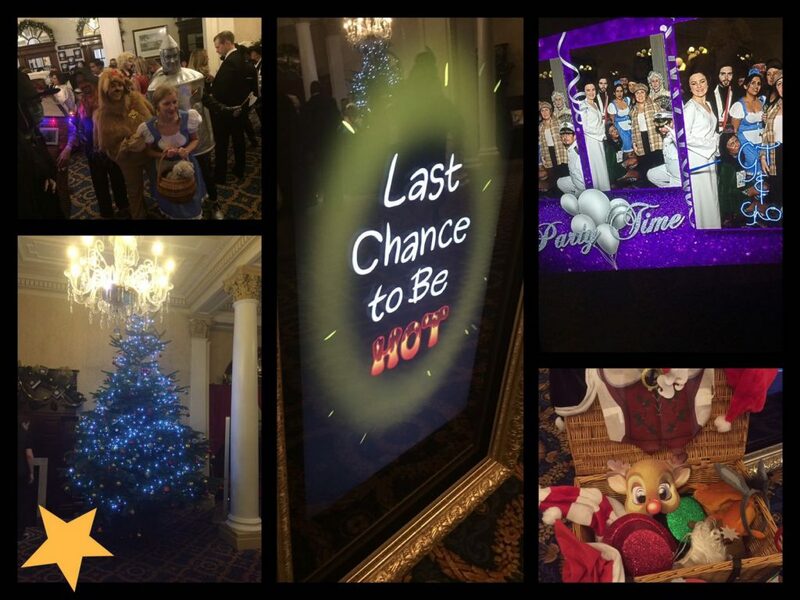 It’s fun & extraordinary animations invite you and your guests into a spellbinding photo experience! 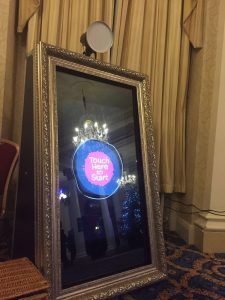 This mirror kindly gives you compliments & interacts with you as you strike your best pose. 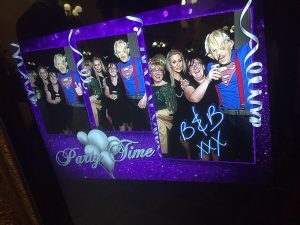 You can even add your own graffiti with the magical neon touchscreen technology before walking away with a fabulous photo memento! If it’s the WOW factor you’re after, then this is it! Sure to leave you and your guests stunned and amazed! Price includes staff arriving approx. 1 hour prior to your chosen opening time to set it up, guest book, box of props, unlimited use, double copies of each print, signature feature on screen & staffed throughout. USB stick with all photos is £10.